One week to go! 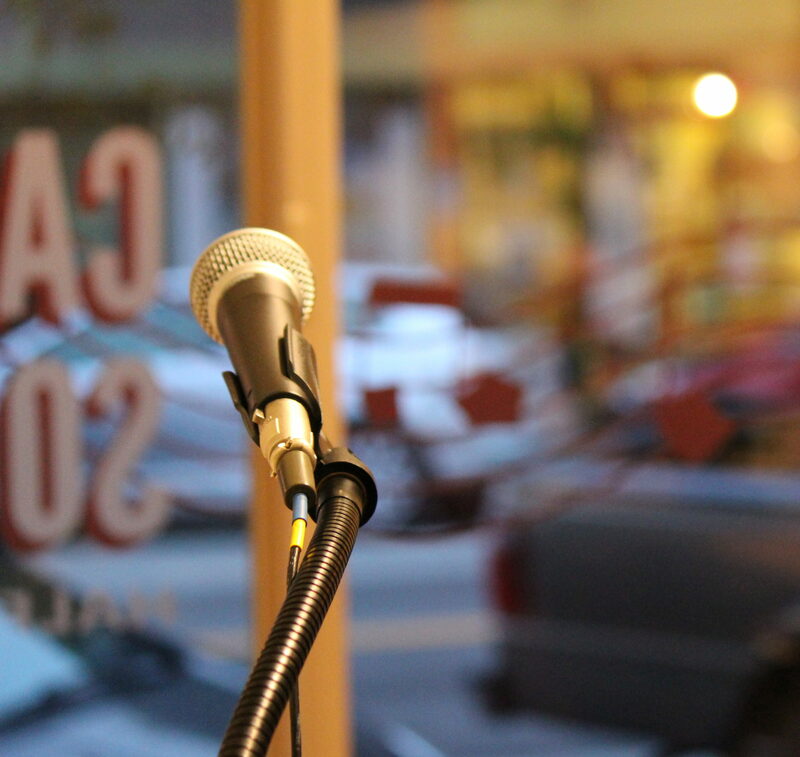 Welcome to Coastside Poetry, where once a month we dedicate an entire evening to spoken-word poetry. We hope you’ll join us on Tuesday, April 9th at Café Society (522 Main Street, Half Moon Bay, 94019). Doors open at 6:30 P.M., and the features begin at 7:00 P.M. After a short break, a poetry open mic will begin around 8:00 P.M. This will feature 10 poets who have 5 minutes each to speak their work – no music, please. A signup sheet will be available at the coffee bar. Food and beverages will be available all evening. For our April reading, we’ll welcome San Francisco poet Laura Elizabeth Davis, and Half Moon Bay’s own Clifford Hunt. Laura E. Davis is the author of the chapbook Braiding the Storm (Finishing Line Press, 2012). Her poems have appeared in Tinderbox, Pedestal Magazine, Muzzle, Rogue Agent, and Voicemail Poems, among others, and have been anthologized in Bared and The Doll Collection. Laura is a freelance writer in San Francisco, where she lives with her partner and young son. Clifford Hunt is a husband, father, new grandfather; poet, editor, and teacher who lives and works here in Half Moon Bay. Before that, he lived and worked in Bethel Alaska, San Francisco, Seattle, Arcata, San Diego, and Beirut, Lebanon. Clifford is co-founder, editor, and publisher with Tim Badger of Just Press, small press publishers of poems, essays, of the periodical Violent Milk, and is co-curator of the Just Press Forums.